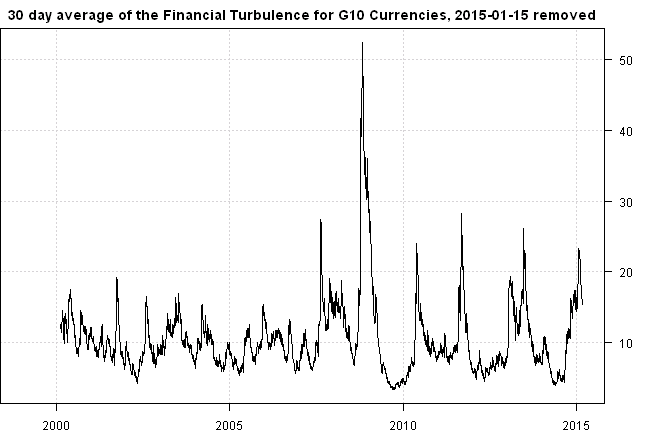 As example, I will compute Financial Turbulence for the equal weight index of G10 Currencies. I created a helper function get.G10() function in data.r at github to download historical data for G10 Currencies from FRED. 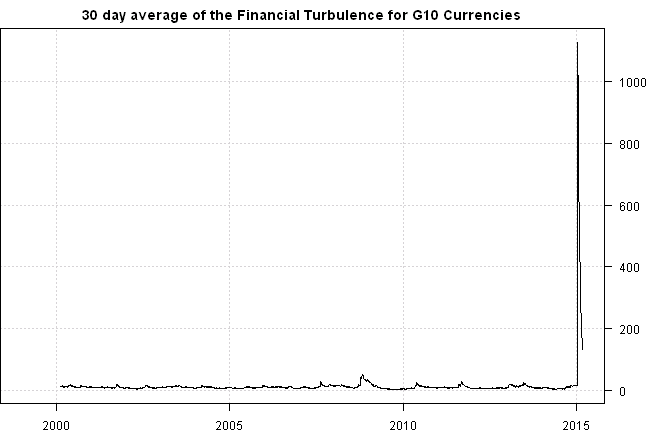 Let’s compute Financial Turbulence Index for G10 Currencies. 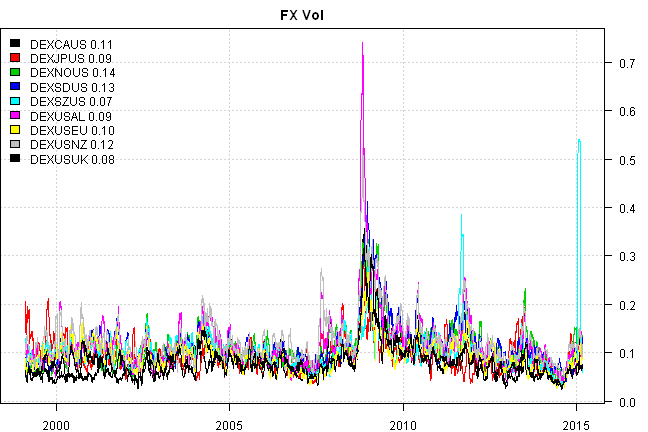 Swiss currency, DEXSZUS - Switzerland/U.S., dropeed 13% in a single day due to removal of trading restrictions.